According to a report by The Globe and Mail, two U.S. senators have urged Prime Minister Justin Trudeau in a letter to ban Huawei’s equipment from Canada’s 5G mobile network, while calling it a significant security risk for Canada and its intelligence-sharing allies. The two influential members of the U.S. Senate select intelligence committee who cautioned Mr.Trudeau are Republican Senator Marco Rubio and Democrat Senator Mark Warner. The pair wants Canada to follow the lead of the U.S. and Australia in blocking Huawei from supplying 5G equipment. The senators believe that allowing Huawei into Canada’s next generation of wireless infrastructure “could interfere with intelligence sharing between Five Eyes intelligence-sharing allies. The U.S., the U.K., Canada, Australia, and New Zealand constitute the Five Eyes, which allows police, prosecutors and spies to exchange information to prevent espionage and terrorism. “We are concerned about the impact that any decision to include Huawei in Canada’s 5G networks will have on both Canadian national security and ‘Five Eyes’ joint intelligence co-operation,” Mr. Rubio and Mr. Warner wrote. “The strong alignment between the United States and Canada in spectrum management has meant that American and Canadian carriers in many cases share complementary spectrum holdings, jointly benefiting from economies of scale for equipment designed for regionally harmonized frequencies. 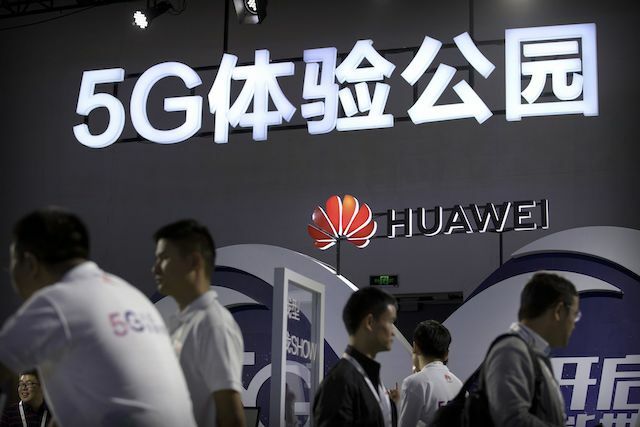 The entry of suppliers such as Huawei into the Canadian market could seriously jeopardize this dynamic, depriving both Canadian and American operators of the scale needed to rapidly build out 5G networks”. Mr. Trudeau has previously declined to ban Huawei saying that decisions will be made based on the facts, on evidence and what is in the best interests of Canadians.